H.I.S. Australia Pty Ltd ("H.I.S.") ABN 81 011 037 577,trading as Travel Japan acts as an agent for you in making the arrangements for services included in your holiday package, such as, transportation (including flights), tours, sightseeing, accommodation, insurance, car hire and other components of your holiday package (“Services”). Obligation of H.I.S. is, therefore, to make bookings on your behalf and to arrange relevant contracts between you and suppliers of the Services. H.I.S. does not own, manage, control or operate any of the Services tours, transportation, accommodation, restaurants, theme parks, activities or any other services included in your holiday package. H.I.S. exercises every care in the selection of reputable airlines, coach operators, hotels and other suppliers or the various travel services which are to be used in your holiday package. It is important to note, therefore, that all bookings via H.I.S. 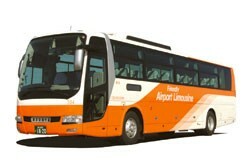 are subject to the terms and conditions and limitations of liability imposed by airlines, coach operators, hoteliers and other service providers including but not limited to shipping, rail, car hire and restaurant operators, whose services are in your holiday package, some of which limit or exclude liability in respect of death, personal injury, delay and loss or damage to baggage. H.I.S. strongly recommends that you take out insurance against these risks (see “Travel Insurance” below). All prices are quoted in Australian dollars (from Australia) or unless otherwise expressly stated. All rates shown are subject to availability and seasonal variations. These price changes will also include adverse currency fluctuations, fuel surcharges, taxes and airfare increases. Please contact your consultant for up to date prices. Prices are subject to change at anytime until full payment is received. A deposit is required to hold the reservation when you make a booking. Your consultant will advise you of how much and the due date for payment. Reservations made will be automatically cancelled if is not the deposit received by the required date. Please advise your travel consultant in case of delay in payment. All deposits are non-refundable. Final payment is required at least 10 weeks before the departure day unless otherwise stated. Due to some airline’s policies, packages or air fares to Japan must be paid in full at the time of the booking or the bookings cannot be made. In which case, if you change or cancel, the above conditions will apply. Bookings made within 10 weeks of departure will only be accepted if full payment is received by Travel Japan at time of reservation. In the event of the reservation not being confirmed, a full refund will be made. 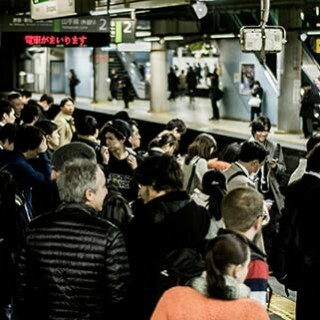 Travel Japan is more than happy to show you for your consideration a range of travel insurance options to cover loss, damage, illness, injury or other unexpected circumstances. You may select travel insurance at QBE Travel Insurance, SureSave Travel Insurance or call our Customer Service Representatives on 1800-802-552 for more information. It is your sole responsibility to ensure that you and your party have valid passports and visas to the destinations of your choice. Visa neccesity mostly depends on the nationality. Please be sure to check regarding visas, required passport validity or immigration documents necessary before entering Japan. Travel Japan is not liable for any expenses, liabilities or loss incurred in relation to invalid passports, invalid or restricted visas or any other matters regarding your eligibility for entry into the country of your destination. All warranties and conditions implied by statute or generally at law are excluded to the maximum extent of the law. If the Competition and Consumer Act 2010 (Cth) or any similar law applies and an implied condition or warranty cannot be excluded, the liability of H.I.S. will be limited, at their discretion, to either the replacement or resupply of the goods or services. Consumer claims should be made in writing within 30 days of return, with supporting documentation. Such claims should be addressed and forwarded to our Customer Service Representatives at info@traveljapan.com.au or mailed to the attention of Travel Japan Manager at PO Box 1517, Surfers Paradise, QLD 4217.